Category: Complementary Therapies, Yoga and Meditation Tags: colouring book, colouring for adults, mandala, theraphy. 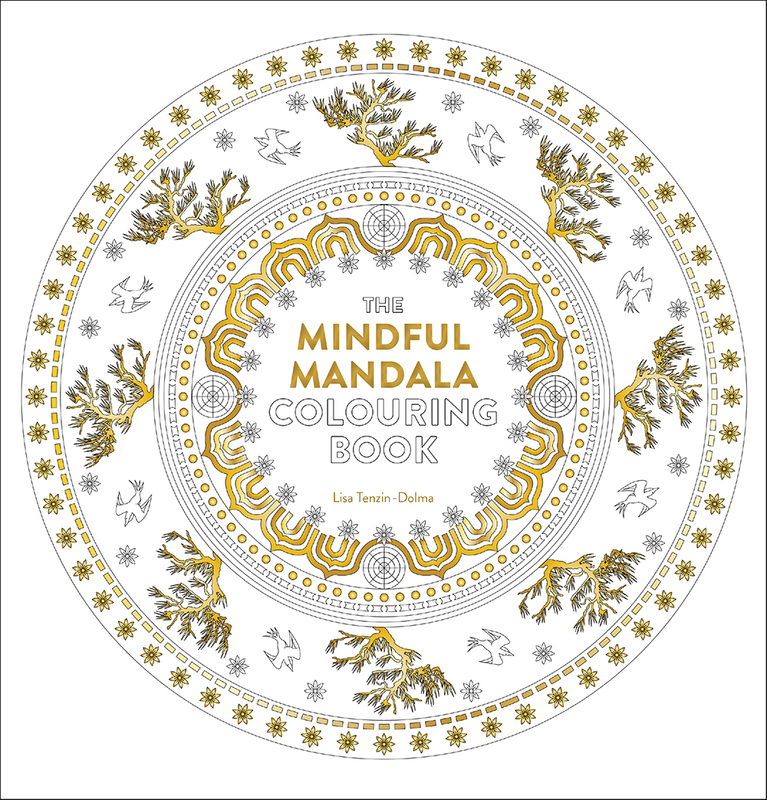 Beautiful, intricate mandala outlines and gentle guided meditations to help you find inner peace and stillness through colouring and contemplation. Viewed as the key to self-knowledge and inner peace in Eastern traditions, a mandala is a symbolic spiritual image which, when meditated on, can bring about profound transformation. Featuring imagery from a range of spiritual and religious traditions, as well as from the natural world, this wonderful book offers a superb collection of black and white mandala artworks for you to colour in, plus guided meditations for every image, and a further section of basic line templates for you to create your own mandala designs. Bringing together the timeless wisdom of Buddhist thought with the deeply spiritual symbolism of the Celts, and the profound healing power of nature – from plants and animals to the earth, the cosmos, fire and water – these harmonious images are perfect for engaging in mindfulness and meditation. Combining creativity and fun with concentration and contemplation, the act of colouring in these artworks helps us to ease anxiety and insecurity, bring about clarity of thought, and regain our personal balance. In today’s unrelenting, fast-paced world, the need for this artistic time out has never been greater. About the author: Lisa Tenzin-Dolma is a full-time author who has written widely on meditation, herbalism, Eastern philosophy, perception and various mind-body-spirit subjects, as well as books about dog behaviour. Her non-fiction books include Healing Mandalas, The Glastonbury Tarot, Understanding the Planetary Myths and Dreams and Dreaming. She is also the author of two novels, The Swan Lake and Lainey’s Lot. Lisa lives with her family near Bath, UK.